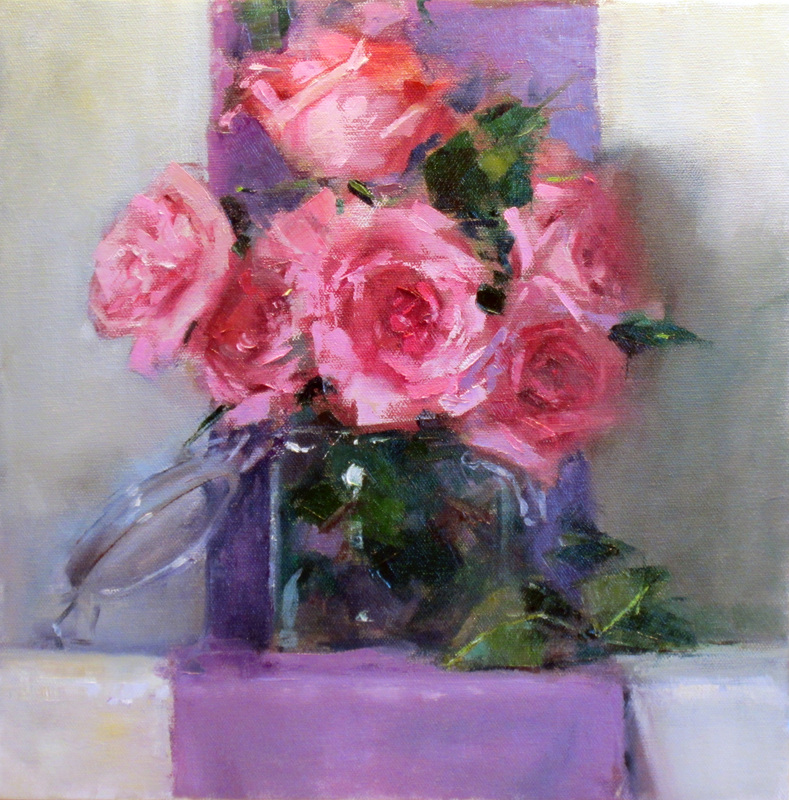 Phoenix oil painter Chris Saper will exhibit her lush, vibrant original still life and floral artwork, marking her new affiliation with the Sedona Arts Center Fine Art Gallery. The "High Desert Dreams" show will feature a number of the Gallery's well known and emerging artists' 2- and 3-dimensional work, April 6 through May 1. 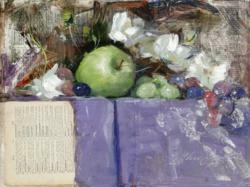 Crisp & Fresh, oil, 9" x 12"
Having learned that the Sedona Arts Center was built on the site of the old Jordan Apple Packing Barn, I decided to feature a great, big green apple in my signature opening painting. 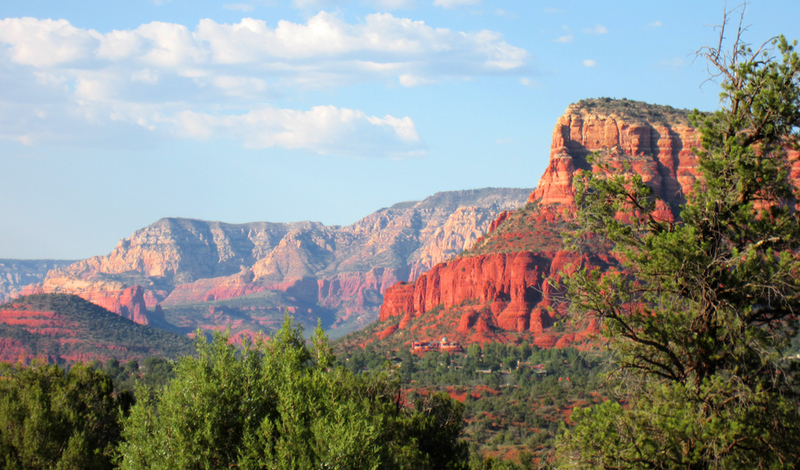 The stunning Redrock backdrop for the Sedona Arts Center's Fine Art Gallery's upcoming show clearly sets the scene for the opening of of its exciting new show, "High Desert Dreams". The Sedona Arts Center Gallery, a long time anchor for City's First Friday Art Walks, will again welcome patrons, visitor and artists alike to its opening wine reception. Nationally recognized as a commission portrait artist, Phoenix artist Chris Saper delights in using fresh brushwork and lively color to interpret her living, but non-human subjects. "The freedom I have in creating my still life art gives me a chance to experiment with new techniques and approaches, but the best part is starting with a blank canvas and enjoying the process," says Saper. Artist Chris Saper has been painting professionally for twenty-two years, having completed nearly 400 commission portraits. 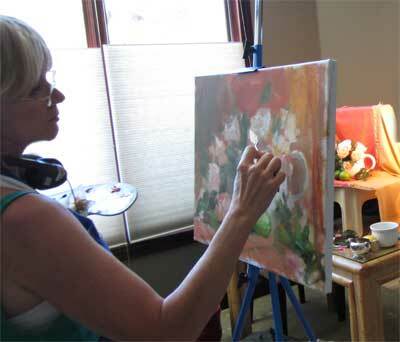 she has authored two instructional art books, four teaching DVDs and is a sought-after lecturer and demonstrator.